Remember the animated movie, “Finding Nemo”? 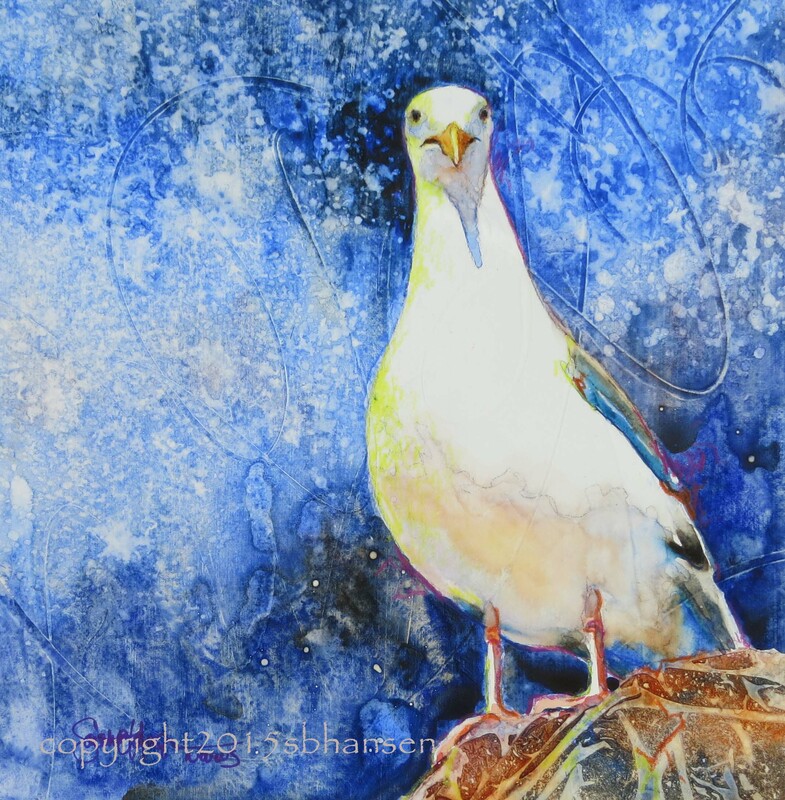 The entire time I painted this bird, I thought of the silly seagulls in the movie, saying over and over again, “Mine,” as they placed dibs on their next meal. Hence the title of this Thursday’s smally (my name for my little 8×8 watercolors). I took a pic of this seagull last year, while vacationing on the Oregon Coast. You’ve gotta love his somewhat spacey expression. The textural blue background and rock he stands on is a great contrast to his smooth feathers and the lemon yellow edge hit by the morning light. Happy Thursday everyone!